When people ask me what I write about, I brush them off with a self-deprecating, “Just stories about mothers.” I imagine that, to other people, motherhood lacks the narrative weight of war and social upheaval, the excitement of werewolves and zombies, the sensuality of erotica and romance. On a deeper level I am embarrassed to say I write about motherhood because I think people won’t take me seriously, as a person and as a writer, and I feel uneasy admitting the extent to which my own identity is wrapped up in motherhood. Yet, without my children, I would not be a writer at all. Although I had wanted to write all my life, it was not until I had infant twins that I felt that I had something worth writing about. I made a hesitant return to creative writing ten years ago, when my oldest son was three, but it was after the birth of my second and third children a year later that I truly began to find my literary voice. I had discovered motherhood literature shortly before their birth and spent the early months of their lives devouring literary magazines written by and for mothers, memoirs of motherhood both hilarious and heartbreaking, handmade mama zines, photocopied, stapled, and mailed directly from the writer, and online mommy-blogs, written and read real-time in the harried and harrowing moments of mothering, unedited and unhindered by the publishing establishment. Faced with the overwhelming task of caring for infant twins and their disenchanted older brother, I found reading and writing about the extreme highs and lows of motherhood a way to cope with my situation and connect with other women whose experiences informed my own. At all hours of the day and night, I found myself perched at our arthritic laptop, at least one baby in my lap and my older son standing at my elbow saying, “Can I type? When can I type? Do you want to play one of my computer games?” as I tapped out pithy essays and humorous sketches that I compiled in self-published zines and distributed to my mother friends. My main medium in my initial forays into motherhood writing was the personal essay, but I soon began to experiment with fiction, and my subject––motherhood––followed me into the realm of the short story. I did not know at the time that I was stepping into a new era in literary history. Today, twenty years after the publication of Smiley’s lecture, literature of motherhood has earned its own shelf in the book store as more mothers put their pen to page and the challenge of raising children attains the status of art. Much of this writing takes place in the creative nonfiction realm, but is making inroads into fiction as well. Tucked into collections whose topics vary widely, mother-driven stories appear in the work of Ann Hood, Lorrie Moore, Barbara Kingsolver, Laura Pritchett, Stefanie Freele, Megan Mayhew Bergman and Claire Vaye Watkins. If I expanded my search beyond the short story, I would find even more mothers populating the pages of novels. While these stories represent progress toward developing literary models that fill the void Smiley lamented, challenges remain for the mother-writer. The plots in many mother-protagonist stories are subtle, sometimes hidden in backstory, often taking place in the main character’s head, driven more by internal conflict––a mother’s struggles with her fears and insecurities—than by antagonistic characters. Even when there are external opposing forces, they often symbolize the main characters’ conflict within herself, such as rebellious teens confirming the mother’s fear that she has failed her children. A mother can be her own worst enemy, both protagonist and antagonist. My challenge, as I have developed mother-driven stories, has been how to depict the internal struggles of motherhood in a way that is interesting on the page. In writing workshops, fellow writers often wish to see the conflicts in the character’s head manifest as fights with the husband, but I do not want to write about domestic squabbles. While a spouse may land more heavily on one side of a mother’s inner conflict than the other, most often the mother struggles within herself between society’s expectations, her own wants, desires, and fears, her insecurities, and her sense of ultimate responsibility for her children’s well-being. Another challenge facing mother writers is how to address the terrible issues in the world. In her 1995 essay, “Novels and Navels,” Nancy Huston elucidates this challenge: “Mothers tend to want everything to be beautiful for their children . . . but if [novelists] paint a world in which human existence is hunky-dory, their readers’ response will be not hope but boredom. To write a meaningful story, one must be prepared to accept meaninglessness; face ugliness; describe horror; comprehend betrayal and loss.”[iv] Louise Erdrich, on the other hand, sees a mother’s ability to face the ugly world as both heightened and an asset. 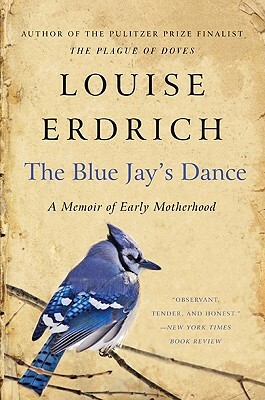 In her motherhood memoir A Blue Jay’s Dance, she writes, “A writer’s sympathies, like forced blooms, enlarge in the hothouse of an infant’s need. The ability to look at social reality with an unflinching mother’s eye, while at the same time guarding a helpless life, gives the best of women’s work a savage coherence.”[v] Motherhood, Erdrich seems to argue, gives us the power to be both more compassionate and more unforgiving, in life and on the page. Mother writers also face challenges in portraying their own emotional extremes. In her essay “Talking about Mothers,” Sara Ruddick addresses this danger: “In writing as in living, it is difficult to describe the pleasures of motherhood without sentimentality, to discuss the inevitable pain without false pathos, to balance the grim and the satisfying aspects and to speak of each honestly.”[vi] Having been accused of “sweetness” and “sentimentality” in my work, I am acutely aware of this balancing act, and have found in others’ work that one way to avoid the perception of sentimentality when writing about the heart-moving aspects of motherhood is to use fresh imagery and figurative language, to say things in a way that no other writer has before. Despite the challenges mother writers face, it is exciting to be writing at the cusp of this wave of literature. Jane Smiley compares the emergence of literature by mothers to that of other “previously ‘voiceless’ classes, nationalities, races and affinity groups” in the past. She writes, “Each of these changed the perception of ‘what is true’ by giving eloquent voice to individual members of groups that had not been heard before . . . . [N]arrative literature highlights the experience of the individual, offers intimate contact with another experience, and circumvents the social differences that inspire hatred and alienation.”[vii] While mothers today are not marginalized or vilified in the way many ethnic groups and cultures have been, they do face discrimination in hiring, in earnings, and in housing, with single mothers faring even worse, while violence against all women continues to pervade society. Mothers often feel alienated––from childless peers, from other mothers, and even from their own spouses and children. Our culture’s tendency to hold mothers up to an impossibly high standard, while at the same time holding them accountable for every flaw and foible in their children’s lives in perpetuity, strongly resembles hatred. I hope to take my place among those women in that room Smiley describes, adding my voice to the conversation. While the stories I write could be described as being about motherhood, they are really about alienation, identity, judgment, connection with nature, love, loss, and the ways life does not turn out as planned. In short, they are stories about what it means to be human. [i]Olsen, Tillie. Silences. New York: The Feminist Press, 2003, 16. [ii] Smiley, Jane. “Can Mothers Think?” The True Subject: Writers on Life and Craft. Kurt Brown, ed. Saint Paul: Graywolf Press, 1993, 10. [iii]Davey, Moyra, ed. Mother Reader. New York: Seven Stories Press, 2001, 118. [v]Erdrich, Louise. The Blue Jay’s Dance: A Birth Year. New York: Harper Perennial, 1995, 147. [viii]Ostriker, Alicia. Writing Like a Woman. Ann Arbor: The University of Michigan Press, 1983, 131. Andrea Lani writes about the nexus of motherhood and the natural world. 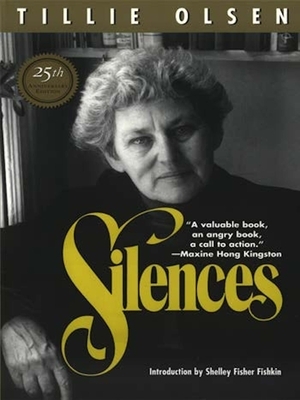 Her short stories and essays have appeared in The Maine Review, SaltFront, and Brain, Child Magazine, among other publications. She is a graduate of the University of Southern Maine’s Stonecoast MFA Program, a senior editor for Literary Mama, and a Maine Master Naturalist. She lives in central Maine with her husband and three sons. You're right that saying you write about mothering/hood gets brushed off. That might be part of the same approach as the shudder that goes through many of us when someone drags out 953 pix of their grandkids and we have to suffer through it all... a sort of "oh here we go again" attitude. My answer is just to say I write about the junctions I've gone through. Take a drive anywhere in a city: how many junctions do we go through on just one trip? So too with any regular day in the family: it's just filled with red, green and amber lights, sudden turns, close scrapes... and many turn, over time, into incidents of writing-value. Thank you for this informative and affirming essay.